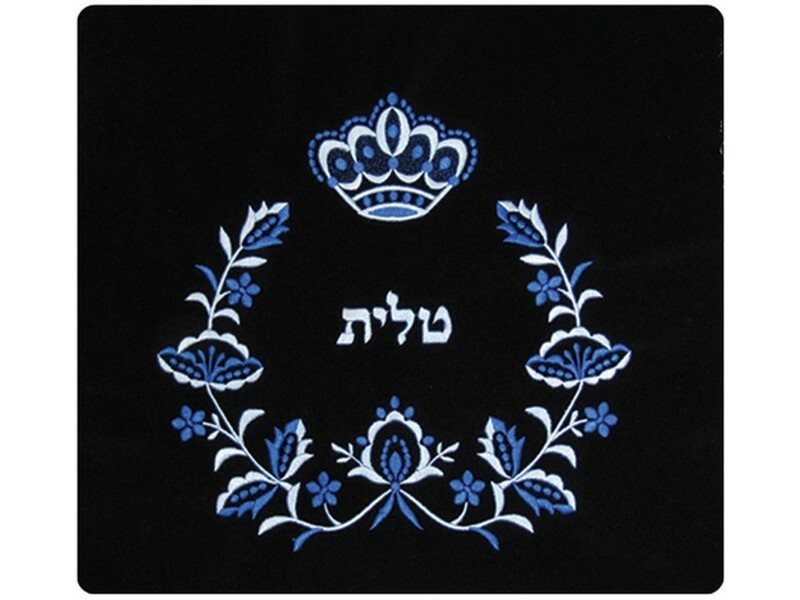 This velvet tallis/tefillin bag is majestically decorated with different shades of blue colored thread, covering almost the entire face of the bag. Artistically embroidered branches, leaves and flowers create a circle that stops short to a majestic crown. 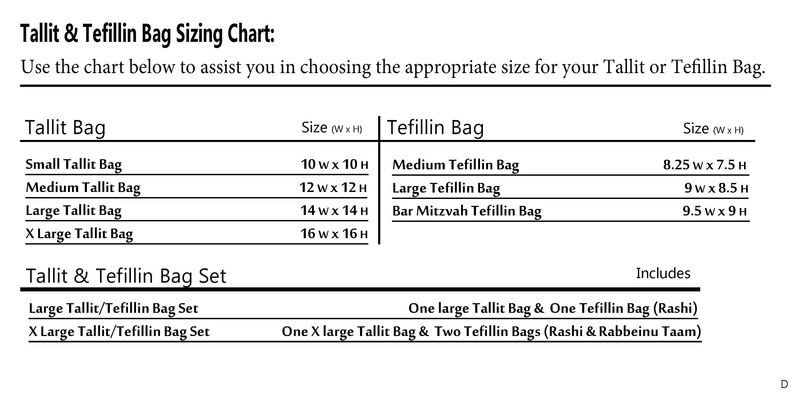 The Hebrew word “tallit” or “tefillin”, depending what size/style is selected, is embroidered in the circle center.